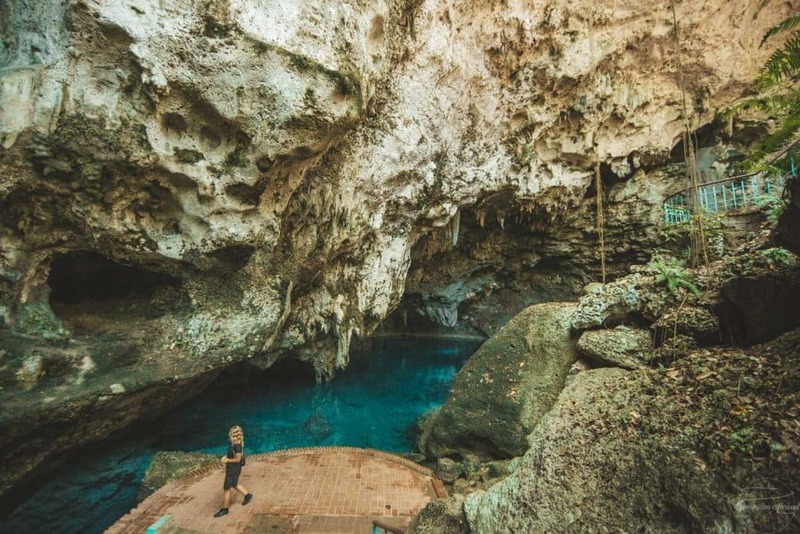 The Dominican Republic’s Three Eyes National Park is a nature reserve and open-air limestone cave system with a series of crystal clear lakes known as the “eyes.” Located in the capital, Santo Domingo, just ten minutes by car from the popular Colonial Zone, the park provides a sweet respite from the hustle and bustle of the busy city. 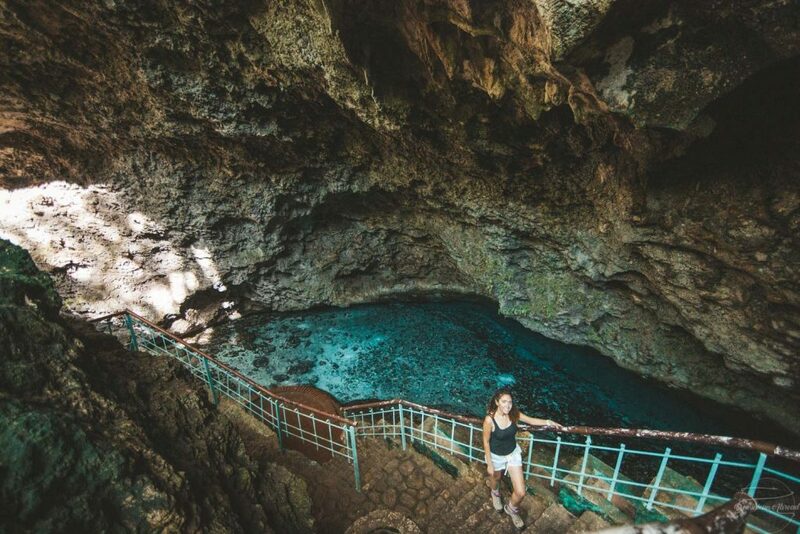 Along with a guided tour, these caves also offer deeper insights into the pre-colonial and ancestral origins of the Dominican Republic. Here’s why and how to visit the Three Eyes National Park! What’s in the Los Tres Ojos/The Three Eyes Park? 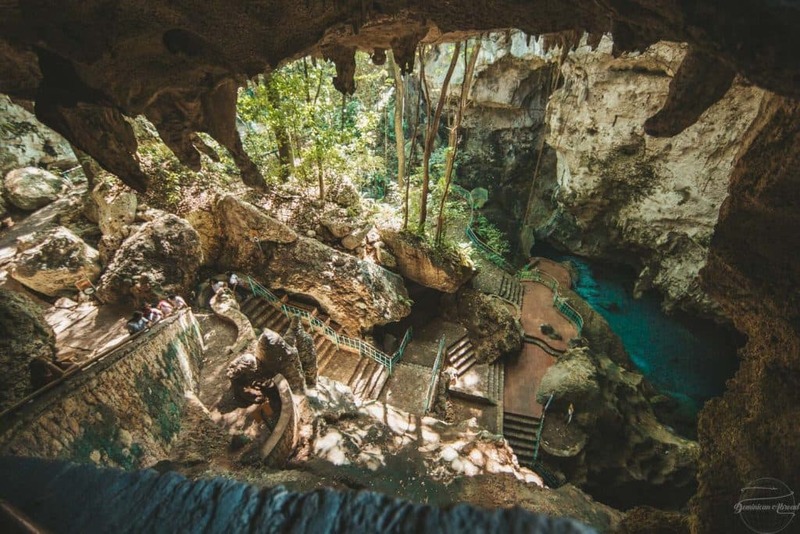 Upon entering the park and going down its many steps, visitors can explore an expansive cave system including three different freshwater cave pools/cenotes (or the three “eyes” which gives the park its name). 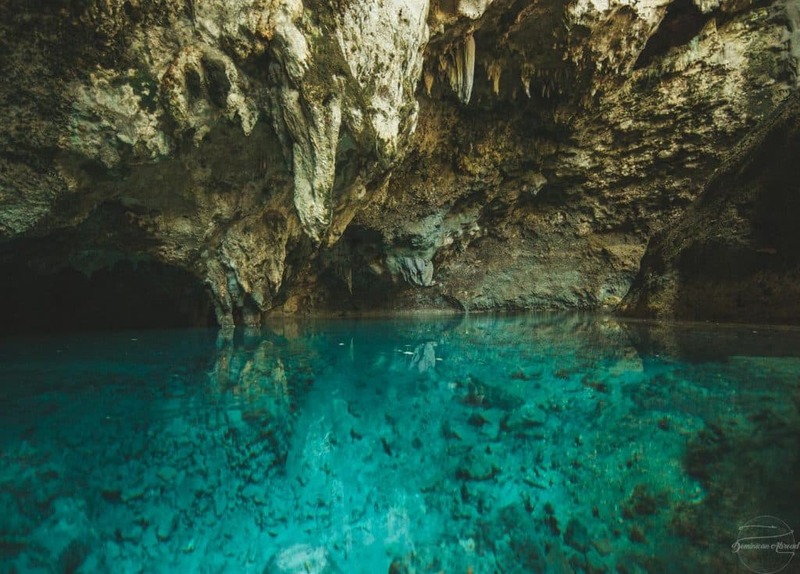 The first eye is “Aguas Azufradas”, discovered in 1916, followed by the famous “La Nevera”, for its cooler temperature. A little further on is the third eye “Las Damas” or “Lago de las Mujeres.” In addition to these three “eyes” is a fourth “Los Zaramagullones” which can be seen from above if you walk towards the end of the park or, more recently, visitors can now reach it by boat. Before going downstairs visitors can take a little walk around the fourth eye from above enjoying the lush and calm greenness. 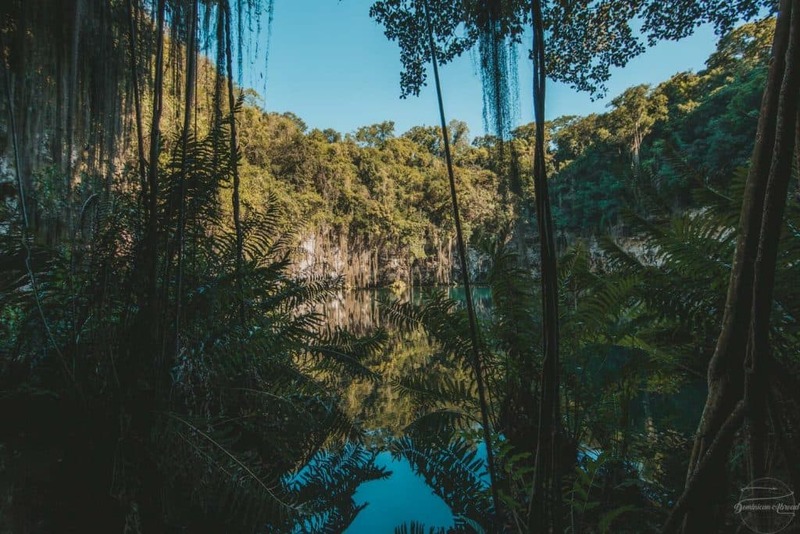 Fun fact: Popular movies such as Tarzan and Jurassic Park have been filmed in Los Zaramagullones (4th eye)! Source. It can get hot and humid inside the caves, so wear cool clothing. Depending on the time of the year, there might be some mosquitoes so bring mosquito repellant. There are no food stands, so bring your own water bottles to stay hydrated. Bring sturdy and grip shoes since it can get slippery in some parts. Bring your wide lens camera! This is quick and easy. 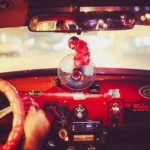 You simply order an Uber and from La Zona Colonial it’s about a ten-minute drive and a $4 dollars USD ($200 peso) ride. Before signing up, enter promo code: q0vfd $5 off your first Uber ride! Or you can take public transportation for less than a $1 USD. Ask your hotel or hostel for the directions, since the route can vary depending on your location. 2019 Cost: The price is $100 pesos ($2 USD) to enter the park and caves. The fourth “eye” is an additional $25 pesos (.50 cents USD) for the boat ride across. Upon arriving, remember to walk straight to the wooden kiosk that sells tickets to avoid all the tour guides that will swarm you to try to sell you their services. Unless you do want a guide… then they can range from approximately $10 to $50 depending on how you negotiate with them. Hours: The park is open every day from 9:00 AM to 5:00 PM. The kiosk sells the last tickets at 3:00 PM. For travelers who prefer a more catered vacation experienced, for $55 per person you can get picked up from your hotel and driven to the park for an informative guided tour. 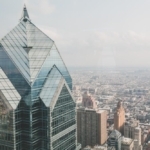 For an additional $25, the tour can be combined with a visit to the Aquarium. Contact [email protected] to reserve a tour. Local lunch, round-trip transportation, entrance fees, and guides are included. For more of My Dominican Republic tours and travel services click here. This is so beautiful and I’ve never heard of it before. I’m adding it to my travel list!